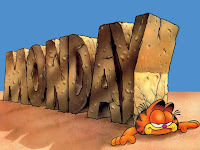 It's Monday and I have no real plan for a post today. I guess it's gonna be quick and dirty. How about a quick rundown of some highlights of music from the weekend? I'm so glad you are all so easy to please! Well, we recorded a new podcast over the weekend. One of the tracks we played on the podcast is amusing enough to share here too! 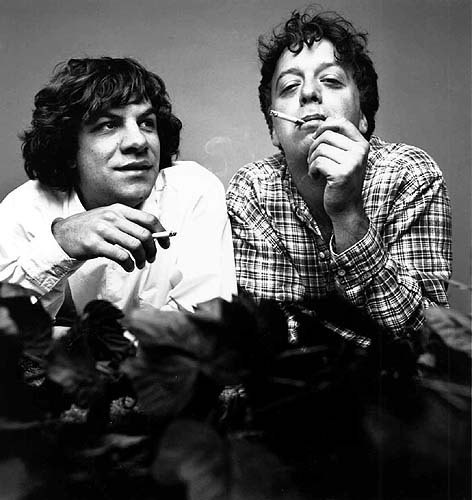 Ween's track Buenas Tardes Amigo. You should check out the podcast to hear us banter about it. It's a silly song...but after discovering it with TLO during the show, I kept playing it for the rest of the weekend! I don't know anything about Ween, but I plan on delving into them a little more, just to see what I have been missing. Before you ask, I didn't miss the Push Th' Little Daisies song, although I wish I had. I keep seeing Eric Church's name. He's supposedly country music's next big thing. I really don't know a lot about country, but after finally succumbing to the hype I decided to give Eric's latest, Carolina, a spin. If anything, the songwriting is good, and the music is a little more on the rock side of country. I've given the album a few spins this weekend, and I would recommend it to others. I'm just not sure if I am ready to join the "choir". THE MOUNTAIN GOATSI have been learning to play guitar. I discovered the open G tuning method, and I can nearly play Commandante by The Mountain Goats. John Darnielle is not the greatest singer, but his song writing resonates with me. I am not entirely sure why, but his simple lyrics hit home. This song is no exception. i got a great big secret written down somewhere. i got a rosary to protect us both from harm. and a laundry list of grievances longer than my arm. I have mentioned TMG a few times on this blog, so I will leave it at that. Buy one Goats album and tell me what YOU think. Modest Mouse? I'm mad at you.